As functional and necessary as the dry erase board is to the office and the school, it does have aesthetic limitations. Whether the board is melamine or porcelain, it's a big wall of white surrounded by a wood or metal frame. There are only so many ways to dress that up. That might be why the new trend of glass dry erase boards is taking off. 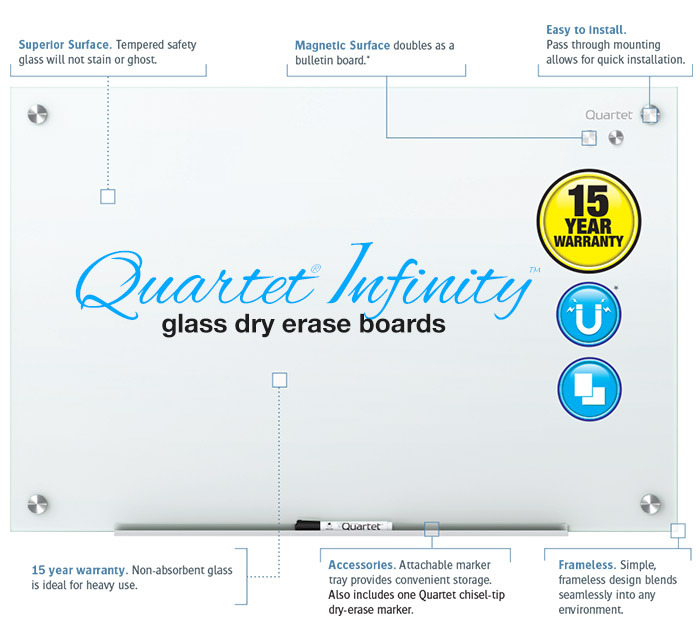 The Quartet Infinity Board here illustrates just how many benefits a glass marker board can have. The glass is tempered and hard to break. Marker trays are easy to attach for storing markers and erasers. The Infinity, among other glass boards, can be ordered with undated calendars printed on them for easy planning. Most importantly, many glass boards are also magnetic, allowing them to double as bulletin boards and notification centers. 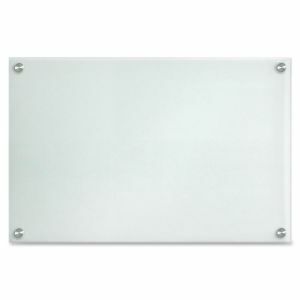 For more information and product links to other glass dry erase boards, check out our buying guide.